Stanislaw Lem (1921-2006) was born in Lvov where he also spent his youth. He was twenty-four when he arrived in Krakow with one of the last waves of repatriates. Until the very end the Lems believed their beloved city would stay within the borders of Poland and decided to leave only when presented with the perspective of becoming Soviet citizens, hastily selling off all property. The only valuable item Lem managed to save was an „Underwood” typewriter, a gift from his father for his twelfth birthday. They arrived in Krakow in 1945. For the next eight years they shared a meager two-bedroom apartment with the Kolodziejs family at Slaska Street. 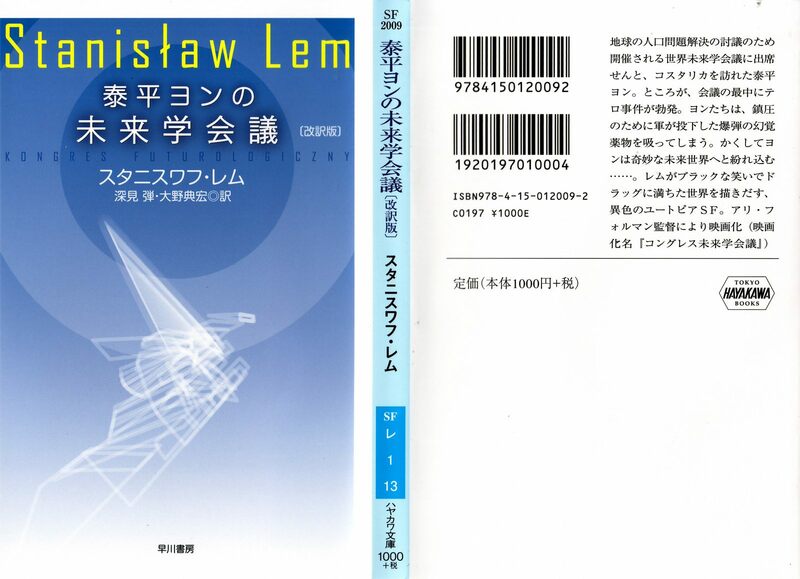 They were poor; Stanislaw Lem considered working as a welder, which was a well paid job at that time, but his father persuaded him to continue to study medicine. Lem followed this advice, however he refused to take the last exams, as it turned out that all graduates were becoming military doctors — for life. To support the family he started writing stories and poems. In 1947 he wrote the „Hospital of Transfiguration”. Because that book was published only after Stalin’s death in 1951, Lem’s „official first novel” became „The Astronauts,” a science fiction story enthusiastically received by readers of the eastern block. In this house in the years 1953-1959 lived Stanislaw Lem — Polish writer, philosopher, visionary and explorer of the future. In 1953 the Lems and Kolodziejs moved to a bigger three-bedroom apartment at 5 Bonerowska Street. Here Stanislaw Lem and his wife spent the next five years before moving to their own house in the Kliny residential district. 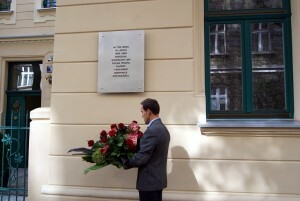 Despite extraordinary imagination and a gift for prognoses probably even Lem himself could not have predicted in those bleak and difficult times that, sixty years later, the building at 5 Bonerowska Street would bear a plaque commemorating his residence there as a world-renowned writer, philosopher and futurologist. 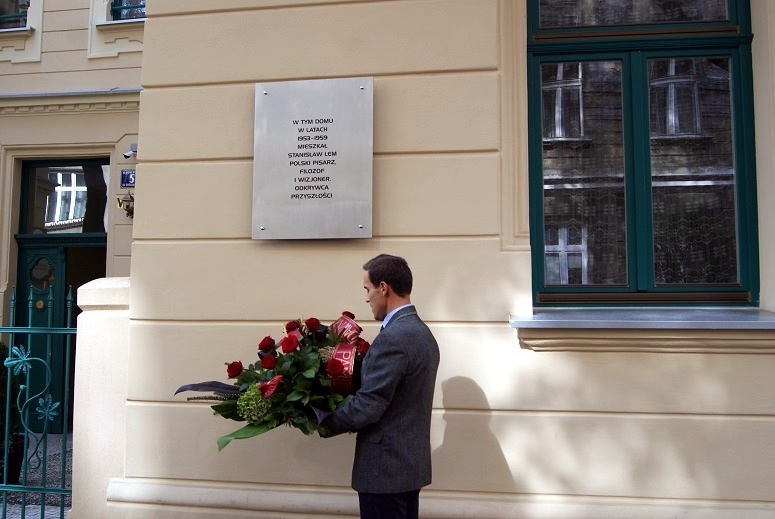 The unveiling of the plaque took place on September 12, 2015 — to commemorate Stanislaw Lem’s 90th birthday and to mark an important place on Krakow’s literary map.